Act for Federalization between more of One Hundred Fifty Movement's in World. Global Business center & Civilization around 1.000.000.000.000.000.000 planet's in Universe ! Support for Safety and Quality of the whole World !! Corporatocracy is politically subject in the form of Senate of the representatives of the Corporation’s throughout the world, is based on the global market and the common interest in logistic’s civilization’s on planet’s in other galaxies range over territories is 1.000.000.000.000.000.000 planet’s in the universe. Using the project for the establishment of new investment strategy and the Bank's profit and business partner’s, and strengthening of the position of global standing, with the option to expand it’s own clientele and establish new market’s. Profit and Medial Propagation with profit for Organizing conferences between trader’s, global media and promote cooperation. Establishing Investment and logistical cooperation for development activities of the government office of The Corporatocracy, basic ministerial function’s and development of trade market, electronic’s, construction, weapon’s, machinery, agriculture, much more. Creating a common logistical and legal cooperation in order to produce a commercial industrial plant for the production of levitating car’s and a truck’s in order to use for the development of global infrastructure business and financial cooperation. The bank is interested in cooperation own claim’s to take on his own worries as a legal form of activity for organized formation of Comercial factories offshore entity as a government of The Corporatocracy and Imperium of Diamond's. Autonomously benefit Levitation car’s for every worker in Interest of Cooperational Activities for Imperium of Diamond’s and common Shop Logistic’s Cooperation. Creating a global digital line between the town and by the economic fabric of our International market, will successively expand the digital track to level position of other planet’s in the universe, the Milky Way. Right’s to form and promote corporate investment market Colonies worldwide. Colonies are legally form based on proven industrial network architecture. Automatic right for the establishment of Corporate Colonies on the area of ​​Bir Tawil, as with OffShore active corporation’s with the owner’s around the world. The possibility for setting up an offshore corporation in the territory of The Corporatocracy. International Alliance World Diamond is political territory with a range of about 4 galaxies in the universe, a civilization which is based on automatical right & law for the sovereignty of each government for countries and worldwide and thus the emergence of civilization which is the center of world politic’s, and economic cooperation and social society. Cooperation in the interest’s of the global conference and media activities for business and politic’s and strategy. Cooperation for the foundation of civilization in space dimension over 4 galaxy, infinite resources and possibilities for development. In the beginning only 15.000.000.000.000 planet’s. The development of the global economy and cooperation for the development of political cooperation worldwide market’s, contact center’s, collaboration in bank’s, and other’s. Each government land in the Alliance World Diamond and use the right’s for having the certificate on the common division of GDP civilization WD, the claim’s for storage of Price registering Paper as a certificate to own Central Bank of alliance Government of country. Option to extend it’s own activity, and the activity of your client’s in the dimension’s of the global trade and activities that bring profit’s, and freely significant achievement. Logistical cooperation and communication between every government around the World. Territory is open for Every Bank around The World. Province Bir Tawil's political territory of the federal government Imperium of Diamond's since 1998-2000. Bir Tawil is a territory which is planned for the development of capacity to the level of 10 milion population, own water source of strength over 300 milion cubic meter’s in dimension advanced industry and technology center’s. Economy on both the first base 100.000.000.000.000 Euro, with many plan’s for immediately grow. Subsequent phases mean’s development of civilization’s as Levitation or Orbital town’s and cities, factories and civilization’s of The Bir Tawil. The first investment for the establishment of the basic structures of civilization, with a gain of 100% profit’s. Investing in Metallurgy, agriculture, basic chemistry, other market’s. Bir Tawil government plan’s its own development in industry's interest in the structure robotic’s, galactic ship’s and industry of engineering, chemical industry, transport industry of transport equipment, industrial machinery, recycling, weapon’s and their production, laboratory industrial work and engineering, the electronic’s industry, industry in order intelligence Engineering from bacteria and organism’s, cyber industry, digital industry, biological and genetic engineering industry and industry in the form of artificial intelligence, the industry profit laboratory supplies and raw material’s mining, rubber industry and processing, pharmaceutical industry, oil industry, textile industry, paper industry, food industry, construction and ceramic’s, Scientific Industries, glass and glass-art industry, banking and services, recreation and urban services, digital industry, music and movies industry, other special field’s. Ability to establish it’s own branches in the form of many version’s. Fixed a branch address or just offshore branch with addresses and example only Digital extension’s with no fixed address create for option of organizing in interest of Bir Tawil trade development. Cooperation also mean’s security to exploit the opportunities to promote self-interest based client’s in the trading branch of the Corporation in the territory of Bir Tawil. Investment option’s for the function of the first office, a 100% recuperation of investment’s. Establishment of joint trade and financial cooperation at the session market’s. Contract’s and agreement’s in the Common Market International buffet. Cooperation with corporation’s and use common strategy for mutual business development and internationalization relationship as a system of common logistic’s strategy. Opportunity to get own position as a stable trading partner’s with a solid ground for the future development of automatically establishing a space for our own branch of your bank and our cooperation. The first step, the possibility of investment and logistic’s cooperation for commercial planting’s factories for the production of car and truck levitating at Bir Tawil. The opportunity to support the emergence of Aquatic Center’s for the mining of raw material’s in International Water’s. Filled with investment for the Imperium of Diamond's investment through logistic’s and establishing cooperation between corporation’s are interested in commercial activity on the territory of Bir Tawil and Imperium of Diamond's, for example, or the possibility of using offshore activities Service Corporation. Profit 100% recovered from Investment’s. The possibility of investment and logistic business strategy to promote the use of service in the interest of the Corporation for geological under-ground research Radio resonance on the territory of Bir Tawil and exploration of raw material’s and supplies in the mine underground. 100% recovered from each investment, the land with an area of ​​2.060 square kilometer’s. Cooperation for the opening of new mines and mining, option for common logistic market and investment for development. An agreement on mutual fund’s and investment’s. Opportunity to expand our cooperation for further economic zone Imperium of Diamond's fundamental’s and market’s in the universe. Autonomously legal option possibility for organizing the creation and trade cooperation of The Corporate Colonies on the area of ​​Bir Tawil. According respecting management of The Imperium of Diamond’s direction and common registering agreement. Many another form's of technologies and development project's for Global Cooperation in interest of Business, Policy, Safety, many more. Document as attempt to Agreement for start of common communication and cooperation for safety and activities, strategies of World Peace and Stability. Imediately cooperation for Stability in Iraq, Syria, Lybia, Oman, Jemen, allcooperative countries. VIDEO: EVERYTHINK IS ACCORDING REALL STATISTIC'S AND OPTION'S ! Constitution, government Imperium of Diamonds, it means global military power to support all humanity, peace, security and order, Imperium developed for Humanity. Your military force is a profitable option for our cooperation. The future and the Imperium of Diamond's, our forces will most significantly the value of security around the world. Our alliance is a significant opportunity for the future strategy for your safety and strength. It is therefore create our new country, the World Diamond International Alliance, right’s of common sovereignty around Galaxies in Universe and today with European Terrorist territories. The first option in step with, according to the constitution of the World Diamond International Alliance, the main ideology for cooperation and security throughout the world. Global Day of Security, the Common Global Army days in one city of The World Diamond. A reference to the constitution of The World Diamond, an international collaboration of sovereignty in new territories in the Universe. Shared sovereignty between all governments countries around the world. World Diamond For us, the legaly and politicaly really means that this is also our country and we therefore we have all rights to sovereignty, we have the right to control them, it is natural principles of sovereignty. The only problem is the very fact that European governments our true country by international and peaceful political rules, they claim to occupy us the global and our association World Diamond. World Diamond, it's not an attempt to annex the European territories. Our right to sovereignty is the confirmation of the main reasons for the United Nations, and such a legal form of world politics today, termination and prevention of the Second World War, the threat today for the creation of the First Global War. on the values of De Juri by utilizing terrorist forces and the opposition, the threat of the First Global War. European governments are not legal subject as valuable as a political entity with a claim for sovereignty. European Nations therefore have the right to self-determination status. The first option, to support the activities of European governments and crimes such sovereignty under the largest terrorist group in the history of mankind, and therefore ensuring global political claims & duty for full destruction of European States through a weapon for mass destruction. The second option, European States support sovereignty through the World Diamond International Alliance as a system of global cooperation among governments of Earth by the principal decision Imperium of Diamond's, the main operator, with a have claim for the decision and therefore the only subject who is just and economically able to maintain European civilization in existence. Therefore, European countries State’s can be safely develop, disseminate and obtain a wide range and preferred values of civilization. World Diamond International Alliance of sovereignty is therefore already fully committed through international law and the Charter of the United Nations or through other international politics declaration. God created the world, Adam and Eve, the first goal for the emergence of Paradise of The Human race as one world, The One World. Eve betrayed God and thus was cursed, was cursed because all mankind. Flood, big genocide and massacres Nations. God therefore attempted to forgive people, so he created Jesus Christ. Jesus Christ was tortured and killed, God not again curse the whole world. Therefore, according to the historical development, was created by Muhammad and the Qoran, Islamic nations because massacred stat survivors who murdered Jesus Christ. In all these countries now lives only Islamic states, for your success in the fight against the traitors of God. Today, I had the time of my birth, my natural interests and a legally valid values are activities for the unification of the entire world, creating a fully human unity of all peoples and states such as God wanted you since the first emergence of the human world and our race, our society and our civilization, the reason for human existence. That means I'm going in the right direction of God's interests and intentions, such as the one among the first who were born of God. God has therefore wants cursing nations, but God wants to remove the sick and the opposition, which only harms the world and a varying. If you try to check the analysis of my project, then you can detect from the assumption that if the European crimes are not detrimental to my person, then already in 2005, I could really unite the vast majority of the whole world. If I'm not the one who is chosen by God, it's still really out of my direction is the same as the first God 's decisions and intentions for the creation of the human world, since the beginning of the purity of the human world without humanity cursed hatred and betrayal. I'm going for the same goal and the result, for what reason God created human existence. Therefore, I believe the Islamic state will support me too. The African Union is a union of states which connects the colored race. Imperium of Diamond's politically entity which is trying to unite the entire world, all nations and states, all races and eliminate any form of racism or hatred that was unlike state border. The federal government Imperium of Diamond's own interest to develop cooperation with African countries to ensure humanitarian development able to support the functions of all hospitals in Africa and at the same time, most patients recover from their illness. Therefore, the African continent will never be dying any small child because of lack of medicine. In the same way the federal government will Imperium of Diamond's proceed in order to create certainty of safety in the direction of the agricultural sector and drinking water. Imperium of the federal government's Diamond is a full ability to ensure security for every child who dies of hunger. In the future, the African continent will never be small children dying of starvation or other problems. 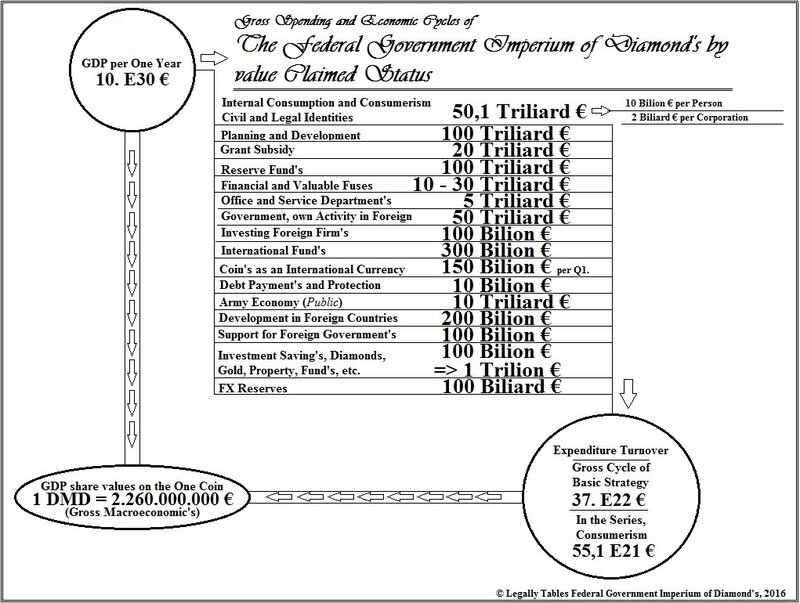 These are the plans of the federal government Imperium of Diamond's had since the year 1998 to 2000. This means that European mediation terrorism and illegal blocking, had killed more than 300 million small children. This is a real comparative value of half the population of the European continent. The basic factor, I believe that our interests are advantageous in many ways, and together, I am a big support for African countries and therefore known that our future can be beneficial. Our cooperation is the most important strategies of African civilization, politics, society and security, as well as in the interest of the future. Today, you're just slaves to European countries, as well as the whole world. I respect your rights, your freedom, your interests of peace, your system policy and state. I want to cooperate and support our growth, I want to support our friendship. Territory Bir Tawil since 1998-2000 with the registry of Diamond Imperium, the values are real and politically enforceable, because I also believe that the African Union and African countries will promote legal principle and political rights, justice, in which case our cooperation will be ensured. Remove and destroy the terrorist movement throughout Africa and to your country I can create significant development steps. That's why I doyfam the African Union will also support me. European governments have created many of the country's secret terrorist attacks throughout the world. Hard and global intervention against the security of your country! The first objective is to ensure our security research into technologies for handling spatio-temporal reality and its physical value. Today, there are several countries which were secretly dominate the technology's ability to control physical reality and thus affect random events affect your activities and their results. Technologies are now abused for terrorism and also for spying your country, too me. European governments the country had over 30 years of working with the US on projects in research interests randomly digits numbers that way they predict future events and future. Today is realistic acknowledgment that such technology does exist and there are technologies that are being misused for global terrorism. European governments the country, every day they affect the reality around me. I therefore can not communicate with other people, I Therefore we must develop their own projects or earn your own financial gains can not be active in society. European governments are truly worldwide nature of terrorism! The federal government Imperium of Diamond's own claims for the issuance of a court judgment against European governments and thus legal to declare the amount owed, bond. If your government ground support, our cooperation and appreciation of my country's government, because I can force the bond to declare by the actual value of diamond Imperium's claimed economy, ie the value according to the calculation formula ,, every 1 seconds as 840,000,000,000,000,000 repeated twice the GDP of the planet country for one year. Therefore, I can immediately utilize bonds, for strength GDP of my country and I therefore can immediately issue new banknotes, while I am able to support subsidies for the development of global military forces in order to cooperate with any government land to support our security concerns, according to a future declaration of multilateral, bilateral. My goal is to expend at least 100.000.000.000.000 Euro for global cooperation on the development of the army. Our global relationship will be formulated to ensure world security and resolve conflicts, or the addition of new points of our agreements and cooperation. Imperium of the federal government's Diamond proclaims. Imperium of Diamond's have interest for Economical, Political, Development, Safety and Friendship cooperation with All Local Association's and Organization's of Government's in direction Geo-political zone Bir Tawil. · Interests in international politics are created to ensure cooperation with the WTO, UN, Caritas and other forms of transnational organization. The Federal Government Imperium of Diamond’s have only one conflict in Political Interest. Every values of The ID’s is legally valid according All International Political Form’s of Right’s and Declaration, or Natural Principles of Policy. Safety, or values of other countries in the world. Domestic Production per 1 Year of Water Consumption is in value of 40-50.000.000.000.000 Euro. Water Economy, 1 DMD to 90 -120 $. the possibility to extend for Foreign Relations. river between Sudan and Egypt, the Arabian Sea, the river is the option to extend into the Nile in Egypt. ability to travel to the territory of another galaxy ave universe, a distance of more than 1 quadrillion light years, beyond the limit of the observable universe. · Transportes Consumption of fuels, only electrical energy and also the possibility of using biogas, bio diesel. · Basic Warehouse zone for Internal and International Transport store is 70 square kilometers. High Tech technology systems may increase the Warehouse Center transports of container to well over an area of 7,000 square kilometers. orbit around the Earth, or other places in the Universe. · Four blocks. The Central block for the development of civilization, agriculture and industry. South Block for the development of military infrastructure bassic format. Eastern bloc for central transport format and at the same time raw material warehouse or international material. Western bloc as a High Tech industrial zone's. manufacturing of pre-emptive networks worldwide, enlarging political relations. industry, construction work. In the future as a production ship and water technology. oil, coal, gold and diamonds more. an automated mine for the extraction of raw materials, also has the financial and investment ability to instantly build the infrastructure of factories for the processing of raw materials. In the event that the Federal government Imperium of Diamond's, not can to pay all the financial agreement's and treaties, then there is the possibility to ensure the cooperation of Creditors, as the person who receives special privileges for support of organized trade in the interests of international common markets with other banks, countries' governments and business corporations, with BONUSESS PROFIT. Organizational activities is based on the ability to act political strategy member of Council of Central Bank of The Imperium of Diamond's, Bir Tawil right for the establishment of an unlimited number of business corporations, the opportunity to expand international markets that are in denominations from Tens of Millions to over Hundreds of Miliard's of Euros in per contact with one the country's government. Subsequently metallurgy will be used for securing the ID's Corporation for production of special technologies to excavate land and labor in mining interests. One Special Excavator may possess values of minimum 5.000.000 Euro. · Aquatic Center to gain clean water is positioned in international waters in order for the extraction of water through desalting thermal activity, and subsequent purification fundamental process of filtration, organic filtration and sand filtration. Total profit for content consumption from water reservoirs will be at the rate of 29.000.000.000.000 Euro/ 1 Year. The price for one cubic meter of drinking water will be the conversion of values for 12 Euro/1mq. Subsequent recycling of water may be in the shared values of 7-15.000.000.000.000 Euro. Recycling target is to maintain the operation of the recycling cycle at full power, to create an Internal raw water source on the territory of Bir Tawil. to over 50.000.000.000.000 euros per One Year. record 1 DMD to 90 - 120 $$. economy worth 10 Quintilion Euro per year. Today, the first population of 10 milion people in the values of up to one year. Population gain on tourism may in values additional 100 milion people capacity every day. EU states robbing the world of values ​​that are greater than the value of planet Earth. Robbing is created through the abuse of a person under hypnosis and illegal manipulation, monopoly and global terrorism, treaten against the peace. Therefore, there is a threat to the future stability of world politics, economy, security and peace, and in some cases there is a lot of threats against the existence of all humanity. European governments have overtaken the worst values ​​of World War II and the crimes. This legally formed biggest terrorist in the history of human existence. Every so that he may understand what is the actual value and the threat of the current situation in the ratio over the world and in the interest of the strategy and the consequences of the most important international rights, everyone must therefore thoroughly understand what the difference is between the second World War in history, according to understand the value of words to today, The First GLOBAL War on humanity in the establishment of relations in the interest of the values ​​of the current situation. In order duty of all governments in the world, anyone who wants to fight it and to ensure safety, each must therefore ensure major security action and cooperation by the established pattern of the main claimant and the referee situation. The right to determine the decision was based on the claim the constitution of the International Alliance The World Diamond, also under the Charter of the UN, and by 90% of the world's political rules that in the interest of possibilities for their application in a situation and in full conformity with the obligations and without possibility of appeal to any manner. Elimination of terrorist governments of European sovereignty and the establishment of an international regime and the sovereignty of the International Alliance of governments and by compliance with the constitution of The World Diamond International Alliance and again in order to comply with the constitution of the Federal Government Imperium of Diamond's. Confirm the illegitimacy of all existing agreements in the interest of European terrorist states and to subsequently use the Constitution of the International Alliance of The World Diamond, the possibility of maintaining stability which is maintained on the card and bilateral or multilateral and diplomatic relations between the Government of your country governments and the European countries. Immediate blockage of all the activities and performance of the political nature of the government of the country in cooperation on terrorism, all rights of ownership or business activities, movement in society and communication, movement in the interest of media activities, communication with any person and at every political person, president, king Prime Minister of the Government, MPs, senators, political parties and any other persons who are active in any way in the interest of the government of the country that whenever and however supported terrorist activity. All policy who coopered in interest of the terrorist government, they are support value andm activity of terrorism. Political people, civilians, every person who supported the motion of terrorism as well as those who are in any contact with these persons, the relationship between the family member, friend, a working relationship, contractual relationship, such a person must therefore be confined to the detention customs and under below thorough interrogation. In this case, the value immediately blocked all legal names and or options activity in society, rights to trade rights to media activities, rights to free movement. All the properties will be immediately blocked by the government. It will be applied to the appeal of this paragraph through a government decree. All foreign media will be granted temporary blockade. National media will be under the full control and under censorship. All publicly accessible center for connecting to the Internet will be blocked immediately and without the possibility of their use. Internet will be under censorship and monitoring. Telephone communication will be under monitoring efforts in order to detect any threats of terrorism and any form of organized movement in the crime. Each government of the country in the entire world must support the temporary closure and control of all borders within the European terrorism territories, and also the issuance of all persons who have fled abroad and cooperation in publishing all information on terrorism. Attempted illegal border crossing will be punished by immediate imprisonment for a period of five years in prison. In the case of the efforts of the opposition to criminality person shot. Schengen Agreement is concluded for a short time, then there is a clarification of the agreement. Applies border regions. At each regional boundary will run full control of identity and security through legal checks. Any person who shall be heard and dismissed out of control, because a person obtains a legal certificate of inspection. Legal confirmation in the form of municipal control, regional control, state control, civil control. Issuing new identity and a passport to travel to all persons who were allowed to investigate the polygraph or through other other special tactic's. A person who refuses inspection must be heard forcefully or shot for their support and cooperation for global terrorism. Subsequently, it will be blocked all rights for business, media and social activities for each family member or friend and well-known among these people who refused to provide cooperation for the elimination of international terrorism. Police and special investigative persons have the right to control all persons in the apartment and other buildings through thermal monitoring, visualization and X-ray technology. Everyone must respect the rights and safety of families and citizens. No one at the same time must not obstruct inspection, control is more important than the rights of a different nature. New legal documentation will be issued after an inspection of each person. To document that is proof of citizenship is required to issue a fingerprint image ophthalmic lenses, X-ray skeleton body, facial features, other basic biometric characters for the possibility of real legal certainty the value of the new document. New documents will be issued until the declared fully legal status and guarantee security in the country. This means the realization of checks on all persons who have moved within the European and terrorist activities have any connection with terrorism. So again, until the hearing, every person who lives or has lived in the territory of these states. The first step will be summoned every citizen to secure his control of the police. The second step is to check and blocking all roads out of the city, highway, water trails, forest roads, railways, airports, and any manner of movement. Anyone who wants to pass blocks, must be the first incident investigated by questioning the fundamental lie detector. Anyone who would argue, must be imprisoned. Will be created police, military and civilian those that ensure close monitoring of the entire territorial space, cities, forests, meadows, water surface, any other center. Will be developed special technologies that will autonomously monitor all movement and identification of persons in the city, in any other zone. In the case of recording a person who is not identified, the person will therefore stoped and imprisoned in jail until fully ensure its safety or court judgment. Any person who is undergoing interrogation must be willing to answer every question, and before all the known information on all persons who are in cooperation on terrorism or any other criminal activity. Efforts to lie in order to harm the investigation is punishable by imprisonment and immediate destination for questioning in an isolated prison for several years. Any person living in a country with the obligation to provide all personal information in order to master data to enable space-time calculations of our reality through supercomputers are used for detailed analysis of all the activities and events or crime in the past, at present and in the future. The information will be used for the removal of all criminal activity or criminal threats and terrorism. Support for terrorism and any action that leads to support for terrorism, such activity is a criminal act. The suspects or other persons who support terrorism as it should be confined to prison and be under constant interrogation for a period of several years, in the psychological coercion to ensure all full statements and information about terrorism. Then decide on the dismissal, imprisonment or the death penalty. King also owns the right to decide the outcome of the judgment in the interest of his performance. Construction of special prisons which are based on the full isolation from any value or civilization of human existence. Prison is for people who work together on global terrorism which is a threat because of the emergence of the first global war. Refusal to respect the rights of the document will be punished by immediate death penalty immediately after questioning persons terrorist activities. Martial law is declared on the activity of legal claim The constitution of the World Diamond International Alliance, and again in the interest of the constitution of the federal government Imperium of Diamond's. Martial law is declared in the activity of the legal-political principles of the UN Charter at a special system which originated through the current situation which is based on organized crime and the abuse of political power in the United Nations. Security Council no longer entitled to principal executive directors, and the loss of rights is declared through the main rules of the UN Charter and at the same time the interplay of all signatories to the Declaration and international rules among all states and governments of countries around the world. Therefore, the claim of martial law is fully applied without the possibility of any sort of conflict and change. It will also be applied in the interest of the International Alliance Constitution, Chapter One, the second part during the testimony under the UN Charter. The government of the country that supports terrorism because Europe is losing the right to political or any other form of cooperation. This leads to opportunities bankrupt the government, the economy, and any other important values ​​of international relations and communications. Therefore, it can also be a national overthrow the government and establish a new regime that accepts accountability after the previous government sovereignty. Obligation due to the basic nature is therefore cooperation. European and other terrorist governments run by terrorist activity to the greatest extent racist, inhumane and immoral, perverted activity that is the real norm responsible for designation as a value capable of global terrorist attacks, the emergence of the first global war, the effort to eradicate or enslave any country that cooperates against terrorism. That means a threat to the existence for seven miliard people on the planet. European governments and their terrorist alliance was able to get through spying and information technologies that are able to travel into outer space between galaxies and alien planets. Therefore, there is a risk if world politics is not sufficiently active in the interest of safety and security features of the system according to the international agreements and responsibilities of political parties, then it will be possible to terrorist governments jointly managed to ensure the emergence of a new civilization anonymous for the development of further movement a terrorist regime. The new regime terrorist activities may therefore be a major threat to the future security of the governments of the countries on the planet Earth and our generations of the human race. We do not know the value of the enemy, not know the position of the enemy, not know the interests of the enemy, we let the enemy so that he could develop their own values ​​over several tens of years and without supervision or blocking against terrorism. Current and future governments of your country have in such a case full entitlement to achieve today's questioning of the government and obtain information from all persons who have caused the government does not respect the country's international obligations and the principles of world peace. This means that any such person is therefore designated as a criminal who is responsible for criminal acts and support world terrorism with support for the emergence of threats to the creation of the first global war and the removal of human existence.